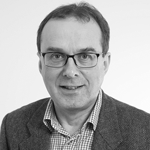 David Adams holds the Ian Mactaggart Chair of Property and Urban Studies at the University of Glasgow, having previously worked at the Universities of Reading, Manchester and Aberdeen. His research interests are in state-market relations in land and property, with particular focus on planning and land policy, real estate developers, speculative housebuilders, brownfield redevelopment, and place quality. He has undertaken extensive research on these issues for the Scottish and UK Governments, ESRC, RICS, RTPI and other funders, and published widely on land, planning and development, most notably as co-author of Greenfields, Brownfields and Housing Development (2002), co-editor of Planning, Public Policy and Property Markets (2005) and Urban Design in the Real Estate Development (2011) and co-author of Shaping Places: Urban Planning, Design and Development (2013). He served as an Adviser to the Scottish Government’s Land Reform Review Group between 2012 and 2014, and was appointed as a member of the Scottish Land Commission in 2016. Dr Jon Gettinby is the Programme Director within BAE Systems leading the regeneration of the former 1,900 acre Royal Ordnance Factory at Bishopton in Renfrewshire, Glasgow. He has over 20 years’ experience in leading multi-disciplinary teams in assessing, remediating and developing former industrial sites. Mick has over 20 years experience in the gas protection industry, during this time he has sat on various steering committes including CIRIA 665 and contributed text to the CIEH “Local Authority Ground Gas Handbook”. He is currently the technical director of MEC Environmental who specialise in the testing and verification of gas protection systems. Mick also co-authored CIRIA 735 “Good Practise on the testing and verification of protection systems for buildings against hazardous gas”. He is currently delivering on the CL:AIRE “Verification of Gas Protection Systems Training Course” and is a member of the steering committee for upcoming CL:AIRE accreditation scheme for gas protection verification consultants and was also a part of the peer review committee for the CSKILLS “NVQ Level 2 Syllabus” for gas membrane installers. 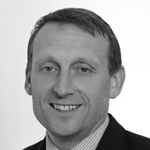 Craig is Director of Scotland and Ireland in the Royal Town Planning Institute. He took up post with RTPI in January 2011 and works with around 2,500 RTPI members in Scotland and Ireland to shape and inform policy and practice to ensure that planning helps to create great places for people. He also leads on Conduct and Discipline for the Institute. Prior to this Craig set up and managed the Scottish Centre for Regeneration in Scottish Government and its agency Communities Scotland, as its Director. He has also been Chief Executive of the Scottish Urban Regeneration Forum (SURF); Sottish Planning Policy Officer with the RTPI; and a planner and economic development officer for the London Borough of Kingston upon Thames. Craig is a member of the Royal Town Planning Institute and the Institute of Economic Development and is an Academician of the Institute of Urbanism. 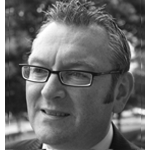 He is a Trustee of Resilient Scotland Ltd and Scotland’s Towns Partnership. In 2015 Scottish Ministers asked Craig to chair the National Waking Strategy Delivery Forum. Laura Tainsh is a Partner in the Environmental, Renewables & Waste Team at Davidson Chalmers LLP, a full-service commercial law firm based in Edinburgh. She graduated with Merit from Dundee University with a Masters of Law Degree in Environmental Law in 2010 which has enhanced her service offering to Davidson Chalmers’ clients through a comprehensive understanding of the fundamental principles of Environmental Law. Laura is a Chartered Waste Manager with the Chartered Institution of Wastes Management, the only solicitor in Scotland to have obtained this accolade. She is also a Law Society of Scotland Accredited Specialist in Environmental Law and is an active member of the Law Society of Scotland Environmental Law Committee and of the Scottish Waste Working Committee of the UK Environmental Law Association, in relation to which she has presented at and hosted events at the Davidson Chalmers’ offices with external speakers. Laura has varied and wide-ranging experience which covers environmental issues, particularly in the waste sector, renewable energy projects, rural property and estates as well as aspects of commercial property work. She enjoys being involved in unique transactions which require a bespoke but commercial approach. On the more academic side of things, Laura is a member of the editing board of the highly regarded Scottish Planning & Environmental Law (SPEL) Journal as well as being a regular contributor to the journal and also to Materials Recycling World Magazine as a columnist. She has also had several articles published in the Scotsman, the Sunday Herald, Land Business Magazine, Wind Power Monthly, Recycling and Waste World and the CA Magazine. Elaine has worked for the City of Edinburgh Council since 1998. She has played a key role in the development of the Council’s strategy for developing new affordable homes. She has managed a number of major investment programmes for the Council, including the Affordable Housing Investment Programme, the National Housing Trust and the Council’s own house building programme (21st Century Homes for Edinburgh). In 2017, Elaine was appointed to her current role with responsibility for business planning, performance and development of the Council’ housing service and delivery of the Council’s ambitious housebuilding programme. The Council has committed to delivering 20,000 affordable homes over 10 years and is setting up a new partnership to own and manage housing for market rent. Sarah Rummens has worked in the contaminated land analytical sector for over 10 years. She started her career at ALcontrol Laboratories in client liaison and customer care, later moving to a business development role. She joined Envirolab in 2009, with a national role focussing primarily on client relationships and business development. She became a Director in 2011. One of her primary interests lies in improving the integrity of the full analytical chemistry process, through ensuring sample care, understanding holding times, to issuance of results She has delivered presentations on various technical topics to numerous professional organisations throughout the UK and regularly advises consultants, contractors and local authorities on laboratory issues. Helen Bonsor is a senior scientist at the British Geological Survey in Scotland, and Chair of the International Association of Hydrogeologists (IAH) urban groundwater network. Alongside her key groundwater research interests, Helen is currently leading a Knowledge Exchange Fellowship in Scotland to develop new wider collaboration between Scotland’s statutory environmental agencies, key research bodies, in collaboration with local and national government, to improve the accessibility of research to planning, in response to the Planning Bill, Scotland (2017). Iain is an environmental chemistry lecturer at the University of the West of Scotland where he teaches both undergraduate students in environmental protection (particularly land and air) and MSc students in waste and resource management. Dr McLellan is supervising a number of PhD students researching waste from the brewery industry and its effects on soil quality, climate change and the public sector and the potential of sepiolite waste in water treatment. In addition he is currently involved in a National Environment Research Council funded project investigating antimicrobial resistance caused by legacy pollution in the Clyde estuary. His own PhD project involved collaboration with microbiologists and soil scientists in North Africa, Portugal and Italy through NATO Science for Peace funding looking at managing human impacts on forest ecosystems. Prior to his appointment at UWS Iain was Policy Officer for both UK and Scottish third sector organisations, where for eight years he was responsible for the growth of the organisations and worked closely with key stakeholders through establishing Expert Advisory Groups, producing policy documents, consultation responses and national guidance documents. Brighid Ó Dochartaigh is a senior hydrogeologist at the British Geological Survey with over 20 years experience in applied groundwater research. She has worked throughout Scotland, the rest of the UK and internationally on projects related to groundwater resource assessment, development, monitoring, management and protection, with a particular focus on ‘difficult’ hydrogeological environments (e.g. low permeability, dryland, urban or arctic). In Scotland, Brighid has worked with SEPA, Scottish Water and other organisations to assess, characterise, develop and manage groundwater resources. Helen is a Chartered Geologist with over fifteen years’ experience working in environmental consultancy, specialising in contaminated land management and environmental compliance projects for a range of clients within the petrochemical, energy, construction, waste and transportation business sectors, as well as local authorities. 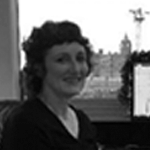 Helen’s key area of expertise is hydrogeological risk assessment and contaminant transport modelling and she is skilled in the use of ConSim, LandSim, Groundwater Vistas, HSSM, AquiferWin32 and Remedial Targets Methodology. Helen has also developed a broad technical skill base and often provides specialist support with respect to environmental auditing, desk studies, site investigations, water environment risk assessment, human health risk assessment, soil gas risk assessment, UK WIR assessment, soil management and remedial options appraisals, including cost benefit analysis. Helen takes pride in developing robust, practical, sustainable and cost-effective solutions to environmental problems on behalf of clients. Through her professional approach, technical knowledge and wealth of experience she is highly proficient in achieving Regulatory approval for projects, often minimising protracted discussions. Joe Graduated from Imperial College with an MSc in Environmental Engineering in 2000. He subsequently worked for a number of consultants in Contaminated Land (WYG, CH2MHill and RPS) until becoming a contractor in 2006. He worked for several remediation contractors, before joining the Keltbray Group as MD of the new Remediation division in 2013. The Keltbray Group is a group of specialist sub-contracting businesses, with a projected 2016/17 turnover of £450M, of which Remediation and Materials Management typically accounts for 5%. Increasingly, the workload of Remediation Contractors has encompassed management of asbestos in soils, which present a significant technical and commercial challenge to many projects. Joe is a Chartered Environmentalist, Chartered Scientist and QP.